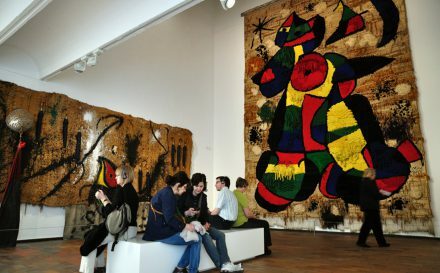 Do you want to discover new and exciting artistic talent? The Contrado online artists are here, ready to shake up your world with incredible creativity and must-have products. When we launched the market place, the Contrado online artists were few but fabulous. Fast forward a few months and the platform has grown from strength to strength, with hundreds of amazing artists coming on board. 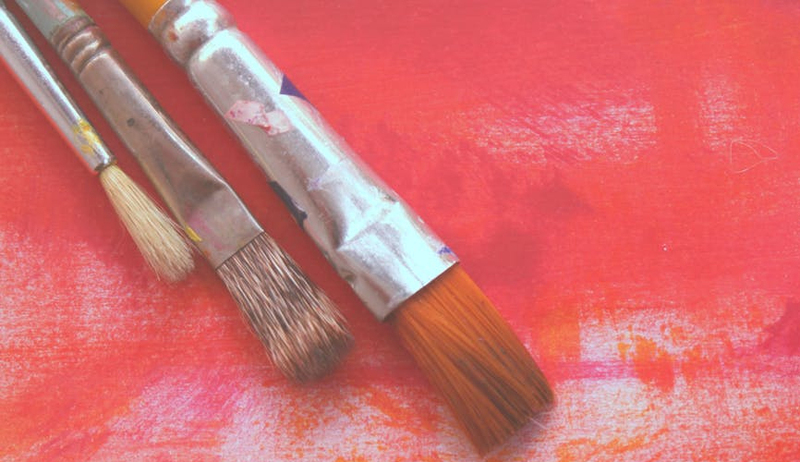 Our online market place encourages, pushes and helps artists build and grow their brands. From helping with marketing and social media to assisting with brand creation, there isn’t anything we wouldn’t do for our #ContradoCreatives. From graphic designers and illustrators to tattoo artists and pattern makers, the artistic talent demonstrated on the Contrado market place is wide and varied. 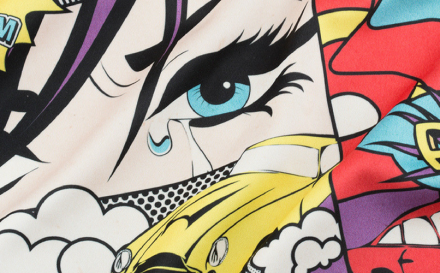 Each designer and artist has their own style, and they have the unique ability to choose which products to customise. 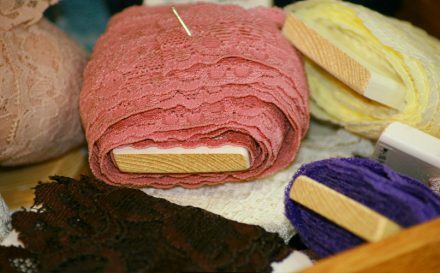 Selecting from our range of handmade products, the artists can tailor make an online shop to their exact specifications. Continuing our series of meeting the Contrado online artists, it is time to introduce you to the next batch. Daisy Steele is an illustrator and pattern designer based in Manchester. Daisy has always had a love of art, and has experimented with different forms and techniques since school. After exploring various styles, she finally chose to specialise in illustration. Following a love of drawing and creating, becoming and illustrator and designer was a natural progression. Indeed, her colour and quirky designs are instantly impactful and memorable. 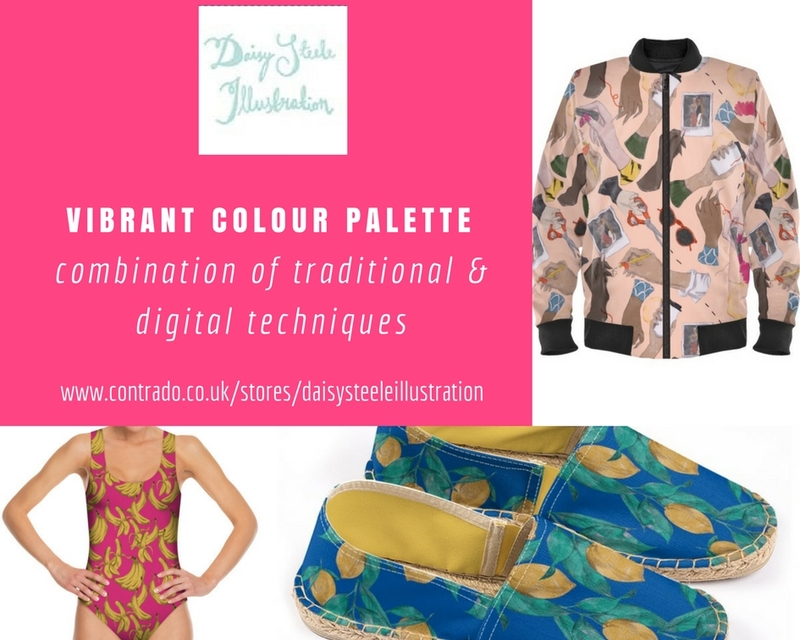 Using a combination of traditional and digital techniques with a vibrant colour palette, Daisy has a distinct style that draws and excites the eye. Although undeniably professional, Daisy wants her audience to make sure that they can see the original drawings in the illustrations, with all of the initial pencil marks. This unique touch gives even more personality and character to her designs. Drawing her inspiration from unusual stories and influential women, Daisy’s collection will enthral and delight women of all ages. 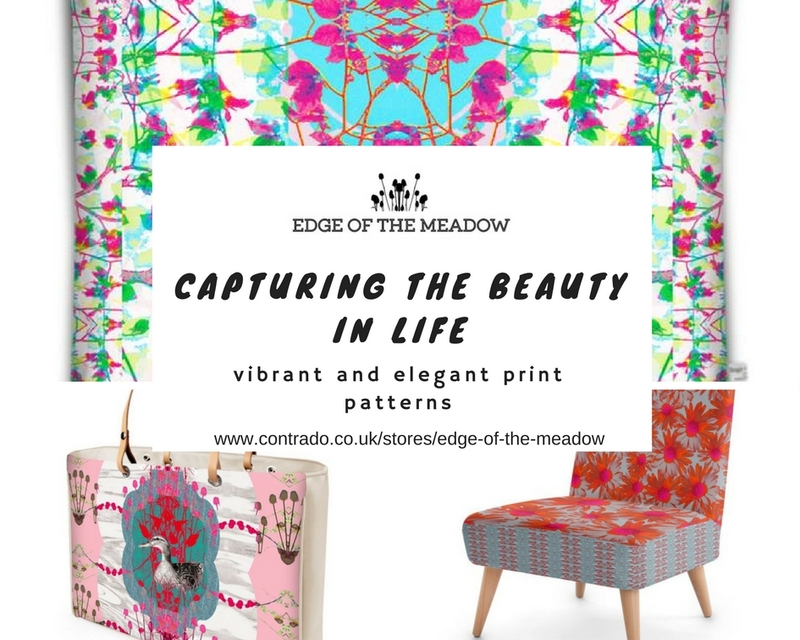 Edge of the Meadow is the beautiful artistic brand created by surface pattern designer Anjali Walton. With a passion for capturing the beauty in life, Anjali has always loved drawing, patterns and colour. After partaking in an art foundation course, Anjali went on to complete a degree in textile design. Her love of vibrant colours and elegant prints and patterns can be seen in every one of her pieces, which are a joy to look at. Anjali starts her work by photographing patterns in nature that catch her eye, as well as man made images. She then explores the images and their characteristics using digital techniques, manipulating them to create captivating designs. Print and pattern evolve, and Anjali combines them with her love of elegant and bold retro patterns and colour palettes. The final results are designs that combine clean geometric shapes with delicate organic forms. They are always charming, beautiful and unique. With a style that she describes as colourful, dynamic and eclectic, every home will be enhanced with creations by Edge of the Meadow. You can’t help but be mesmerised by the work of Vividvivi. The woman behind it, Vivi, is originally from Greece and she has a deep fascination with digital art. Taking inspiration from digital culture and processes, Vivi is constantly evolving her work and exploring with different methods and styles. Working with digital media and the endless possibilities that manipulating and data-bending can produce constantly pushes Vivi in her artistic mission. Describing her style as “glitch art,” this fascination and passion for digital art is clear as soon as you look at her incredible collection of artwork. Exploring manipulation of traditional imagery is a fresh and contemporary way to enjoy art. Colour plays a strong theme in Vivi’s work. She plays with layers of colour to create an almost 3D visual. Adding elements of screens and digital displays with a distorted aesthetic, creates a captivating and striking finish. With a love of digital tools to constantly perfect her craft, Vivi’s captivating collections are always exciting and fun. Illustrator and digital designer Hollie Victoria is a graduate of Leeds College of Art, where she studied Printed Textiles and Surface Pattern Design. It was while studying that Hollie developed her amazing and unique skills of being a designer. Originally studying fine art in school with pencil drawings and acrylic paint, Hollie branched out in her foundation course and eventually fell in love with printed textiles. Hollie’s artistic talent ranges from traditional painting to digital printing, and even includes handcraft such as embroidery and screen printing. With a constantly evolving style that ranges from detailed and illustrative to quick and painterly, Hollie is always keen to experiment to perfect her craft. She enjoys using a lot of colour and researches current trends and artists to ensure her work is always fresh, contemporary and stylish. Vibrant prints play a huge role in Hollie’s work, and when combined with her beautiful illustrations, something incredibly powerful, original and bespoke is created. 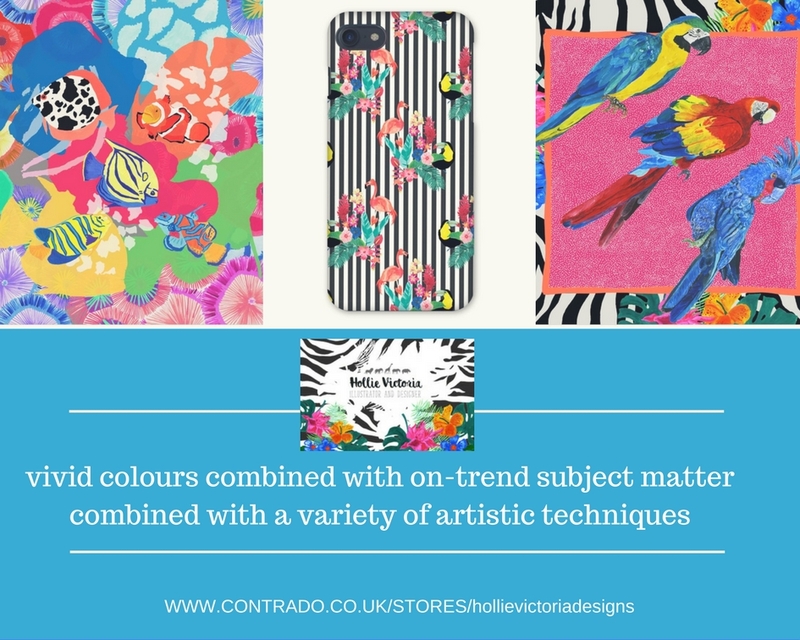 Now that you have met some more of our talented #ContradoCreatives, why not visit their stores? 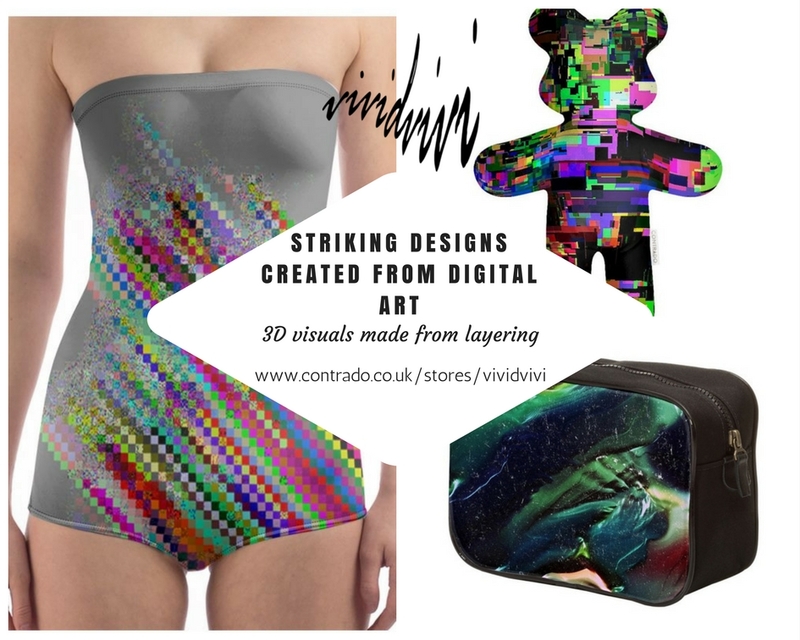 The are so many more amazing Contrado online artists for you to discover, each with their own incredible line of custom made products. Discover new artists and fill your world with unique designs. 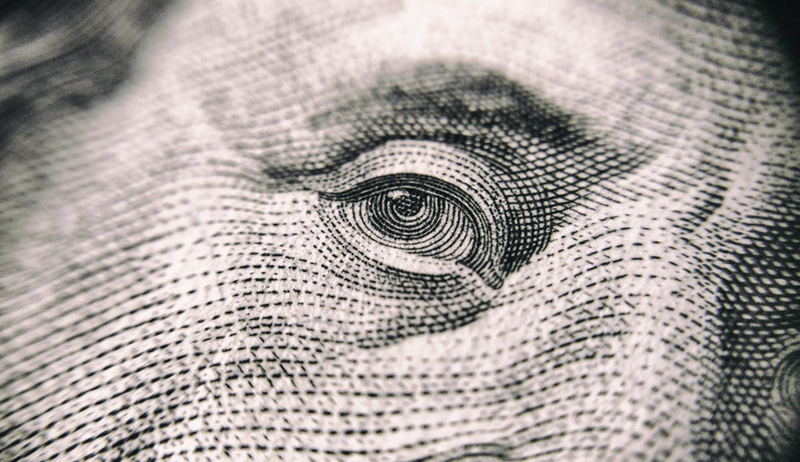 If you fancy becoming a creative yourself, click on the button below to find out more about selling your work with us.